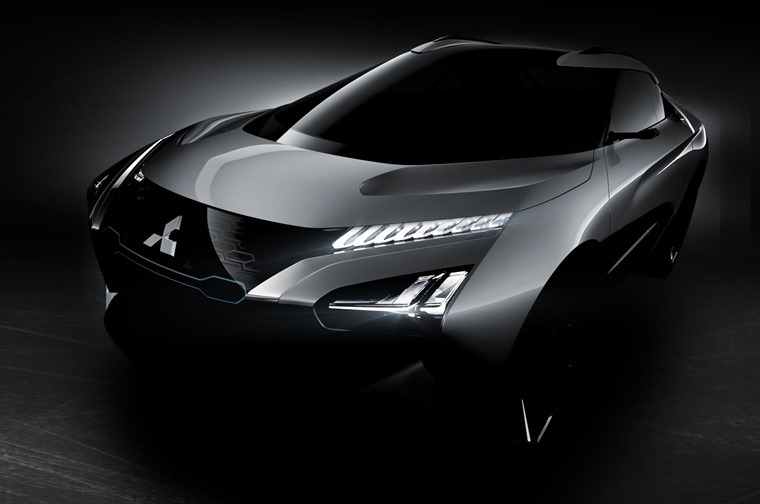 Mitsubishi has revealed their e-Evolution concept at the 2017 Tokyo Motor Show. 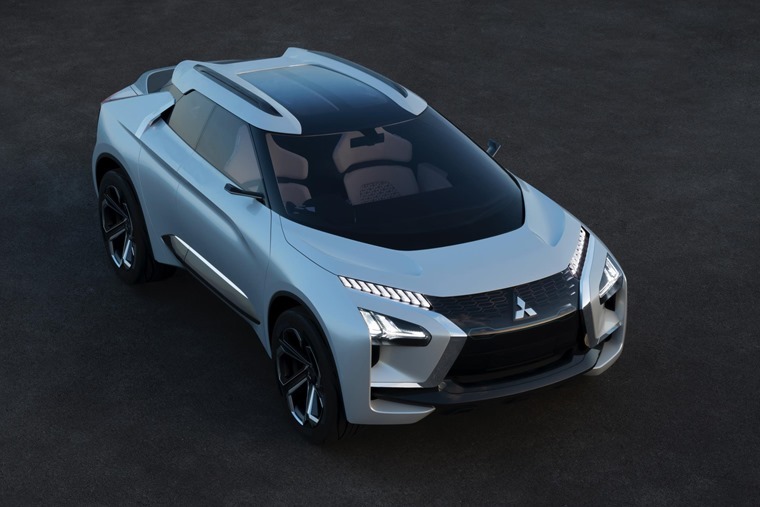 “We aim to provide vehicles that fulfill our customers' desires through outstanding design, combined with the power, authenticity and carefully-considered functionality Mitsubishi is known for,” said Mitsubishi Head of Global Design Tsunehiro Kunimoto. Adopting a design philosophy under the title ‘Robust & Ingenious’, the concept is a study in contrasts showing the vehicle to be genuinely tough and functional, but also clever, resourceful, style-setting and technologically advanced. High ground clearance, short overhangs, strong shoulders and narrow hips project nimbleness and agility, while muscular tyres protrude at the four corners to communicate its powerful 4WD traction. 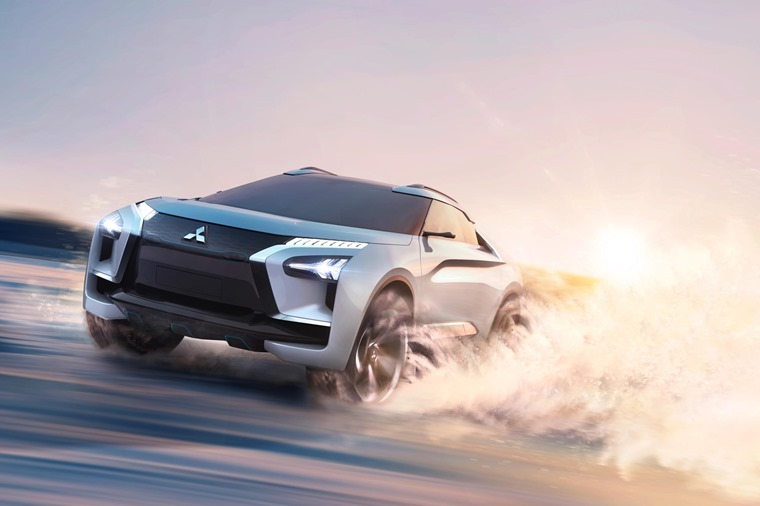 Offering the public a glimpse of the future of Mitsubishi, the e-Evolution concept takes the brand’s EV knowhow and all-wheel drive SUV expertise to a new level with the addition of Artificial Intelligence to augment driver and vehicle performance. 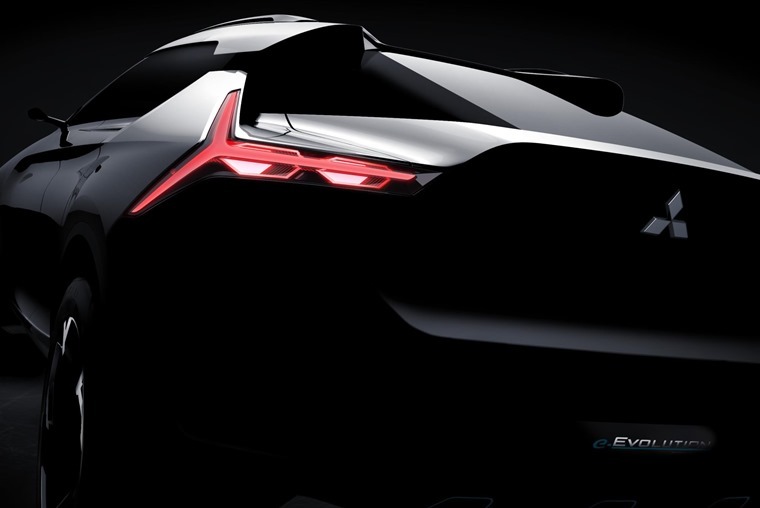 Incorporating the very latest technology from the manufacturer, the EV concept signals the start of an exciting new era for the brand following the success of their Outlander PHEV model. Using high-torque and high-performance electric motors,the triple motor 4WD system employs a single motor to drive the front wheels and a new Dual Motor AYC (Active Yaw Control) system to couple two rear motors, all under a low-slung, highly-aerodynamic SUV-coupe shape. This seems to be the *ahem* shape of things to come for many manufacturers, with Volkswagen revealing its own SUV-coupe vehicle at the recent Frankfurt Motor Show and the Toyota C-HR already leading the way for ULEVs with its unique design. 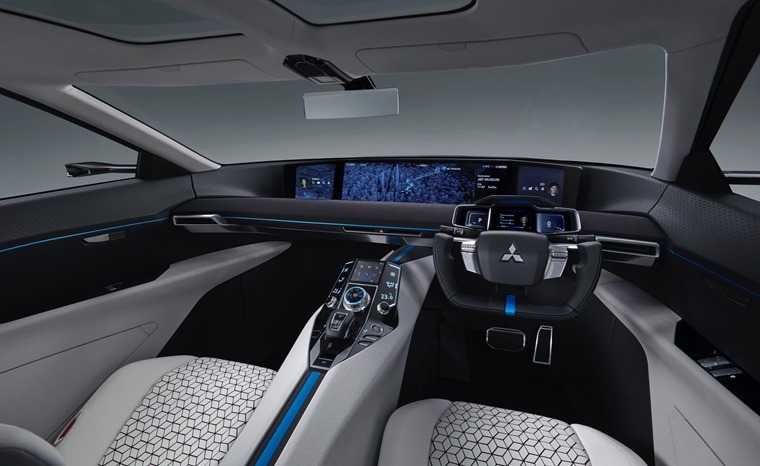 The brain of the e-Evolution concept is an array of sensors which allows its AI system to instantly read changes in road and traffic conditions, as well as the driver’s intent. Seamlessly coordinating driver intent with vehicle performance, the system supports drivers of all abilities and hopes to bring the motoring experience to a new level. A special coaching function allows the AI system to transfer knowledge to the driver and to unobtrusively enhance driving expertise. After building a picture of the driver’s skill level, the system constructs a training program that provides advice through voice dialogue and a large dashboard display. Why the extra ‘e’ instead of just, I don’t know, calling it e-Volution isn’t for me to say.